You obsess about salt. You have, in fact, an entire wardrobe of salts, from flaky to coarse to pink, black and smoked. Admit it. 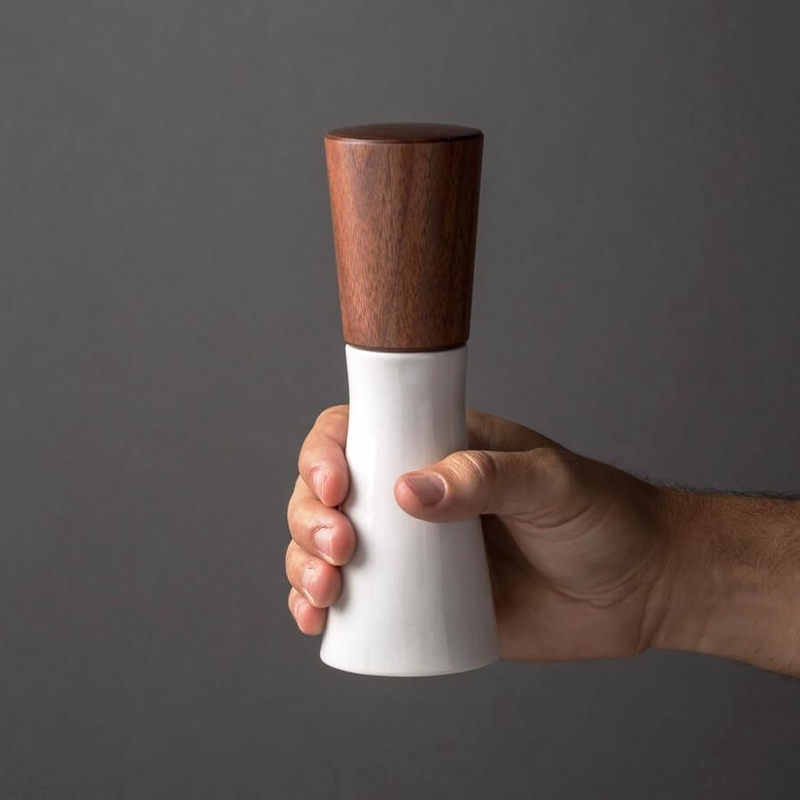 You’ve even got salt in a a variety of colors. But what about pepper? It’s the most-used spice in the world – and few people give it the respect it deserves. which is sourced from small farmers in India. 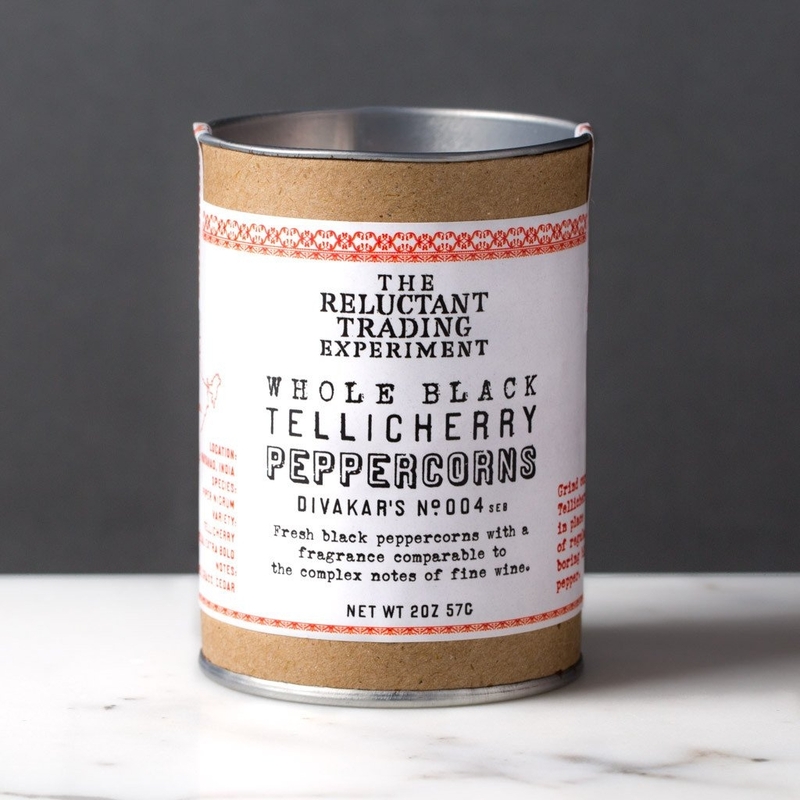 Larger than the peppercorns you’re accustomed to, these Tellicherry peppercorns have a fine, rich, robust fragrance. Any cook would be grateful. 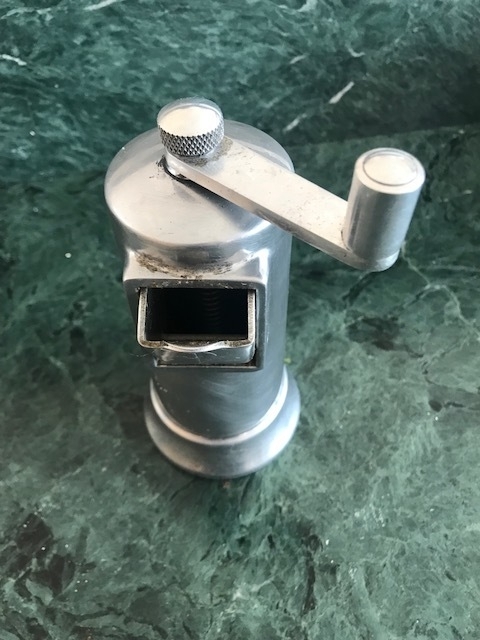 And while you’re gifting pepper, why not a mill as well? 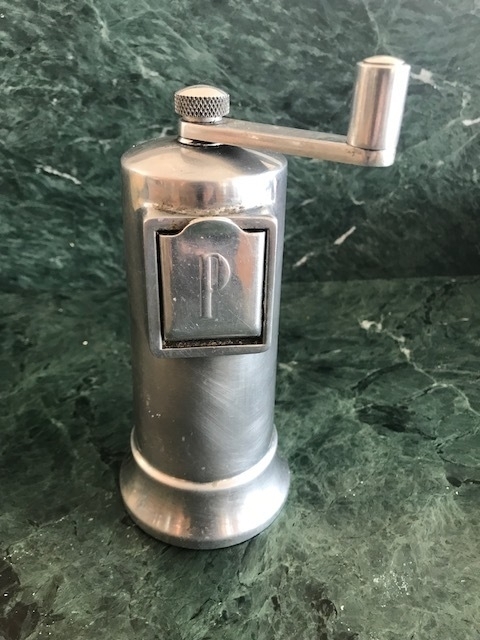 My favorite peppermill – the giant (7 1/2 inches tall) Perfex which I use every day – is inexplicably hard to find. but – in the interest of fairness I have to admit that next time I buy one, I’m investing in the wooden version. Some clumsy person (me), dropped mine, shattering the porcelain. They look really good… I will put this on my wish list for next year! That’s the same brand, but not the same mill. It’s about half the size of the giant one I’ve got…. Careful about big peppercorns. I got some slightly larger than usual at Penzeys, and they wouldn’t feed into the grinder of my peppermill.